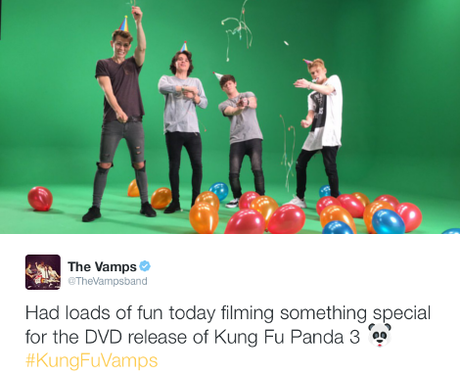 Is anyone else counting down the seconds until The Vamps' 'Kung Fu Panda 3' is released?! 4. Is anyone else counting down the seconds until The Vamps' 'Kung Fu Panda 3' is released? !